Just like your vehicle, your air conditioning unit requires routine maintenance to continue operating at peak performance. This is why we highly recommend maintenance packages to many of our clients in Clayton, NC. With a maintenance plan from Wayne Bryant Heating & Cooling, you can help keep your cooling system running effectively and efficiently. 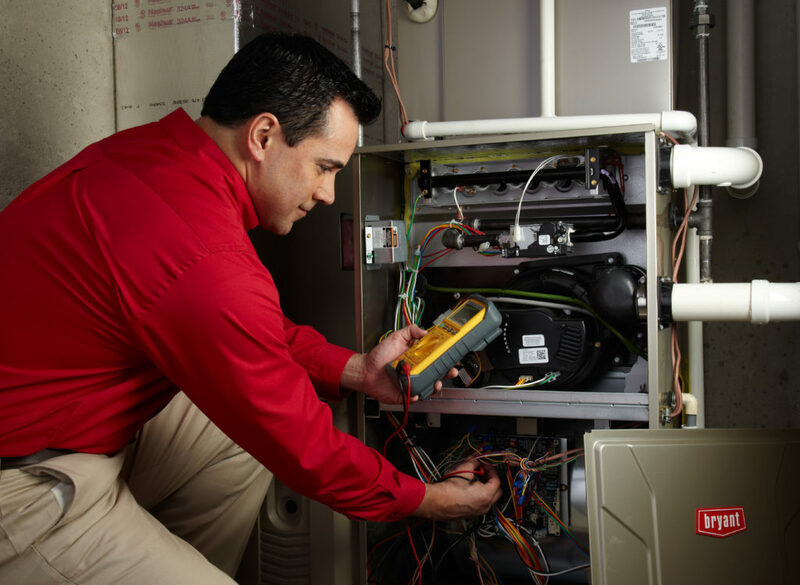 When you join our Priority Club, you will receive 2 checkups for your heating and cooling system during the year, and be a top priority should your system malfunction. We usually find that people who sign up for our maintenance plan add years to their systems, and if a unit hasn’t been serviced regularly previously, they can enjoy noticeably improved efficiency. You can learn more or sign up for our Priority Club, here. Should our technicians discover an issue, or your system malfunction later in the season, you also receive 15% off of all services. We offer this plan to help keep our clients’ cooling systems operating throughout the entire Clayton hot-weather season but understand that sometimes components break unexpectedly. In order to provide our clients and their cooling systems with the best possible service, we are constantly searching for and studying the newest HVAC technologies. We have spent time in trainings and classes for ductless systems, and attend continuing education classes with Bryant, Mitsubishi, Goodman, and other brands. We are proud to offer our cooling maintenance program to our clients, primarily in Johnston, Wake, and Harnett counties. Some of the cities we often work in include Fuquay-Varina, Garner, Holly Springs, Willow Spring, Apex, Cary, Clayton, Lillington, Angier, and the surrounding areas. To help treat our clients like extensions of our family-owned business, we offer 24/7 service. While we may not answer immediately, we will always do our best to respond to inquiries in a timely manner. To contact us, please call or text 919.631.5132, fill out our contact form to the right, or send us an email.